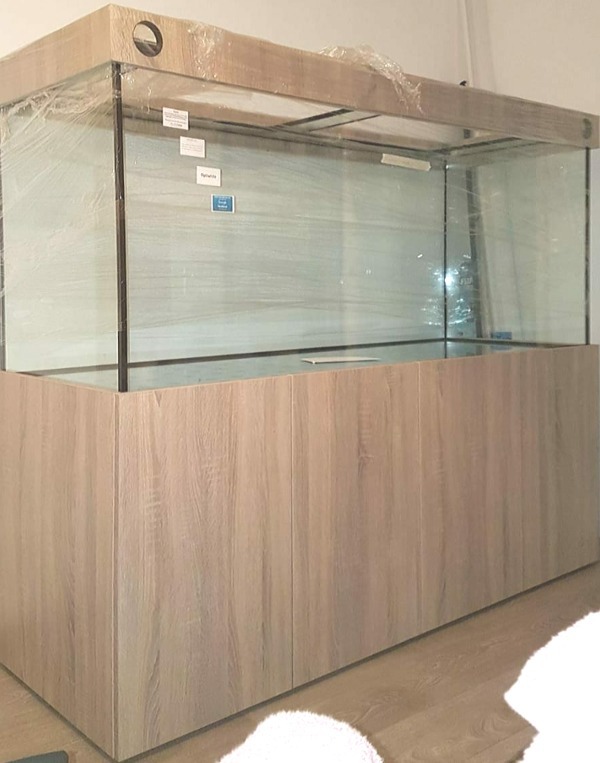 Description: Description: This is a Custom built tank cabinet & hood. I bought this tank and within a few days I changed my mind to have bigger tank 7Ft long.the seller won't buy it back due to a custom built. it costs me Ł1,286 down to the penny also I have the receipt with a 3 years warranty. Iam a genuine seller and will consider all resionble offers. * L 72" X H 30" X D 24" (L 1830 mm x H 760 mm x 610 mm). *12mm thickness of the glass. *Double base bottom glass thickness. * Cabinet Color Chianti Oak Wilde . Thank tank still in an original delivery package. For more information contact me on 07460466643.